"Thank you for providing us with a 'home away from home.' We had such a great time staying here together and cannot thank you enough for your kindness and hospitality. We loved the cozy A-Frame Cabin and cannot wait to come back! Thank you again! XOXO. The minute you walk through the front door—no, the minute you drive through the front gate—you will sigh with relief knowing you have made the right choice for your lodging. There is something about it that immediately warms your soul and melts you to the core. 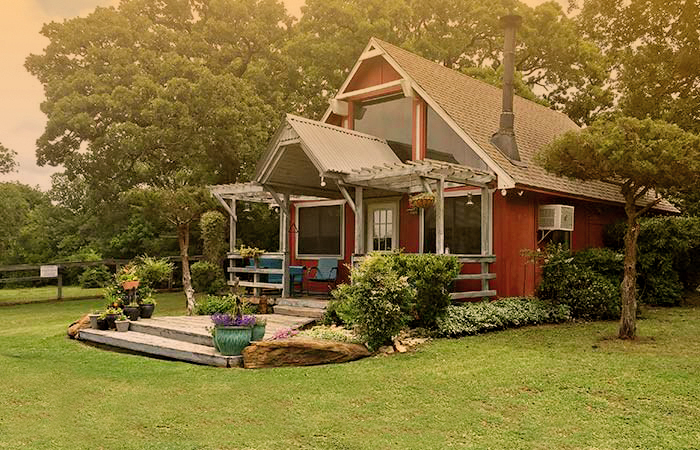 No other place in the North Texas area compares to this A-Frame Cabin. You are getting so much more BANG for your buck! The cabin is yours for the duration of your stay. Privacy, comfort, style. It's all here. Fire Pit, Lawn Chairs, Lawn Blankets, Two-man tent, and all the firewood you need. Only 10 mins away from Ray Roberts Marina, with Lake Ray Roberts Isle du Bois State Park 2 miles to the east. Be among the first to know about our specials and promotions!